Wedding photography is a form of art and like any art form, it has to be mastered and perfected. Yet of course, it does not simply with that. Besides mastery of the craft, an effective wedding photographer also has to at least get acquainted with another important aspect of wedding photography—the business. Like what Mr. Lito Genilo of Smart Shot Studio shared in his talk at the WPPP Photo and Video Congress 2014, wedding photographers should understand this aspect to be able to succeed in the business. Talking from his very own life experiences, Mr. Genilo even gave some important points on what a wedding photographer should be in the first place. Friendliness is important in any kind of business. It does not just help in building connections with clients; it also helps the business to be inviting to anyone. And of course, as a photographer, it is important that you make your clients feel comfortable working with you. Otherwise, it is not a good experience for them. Remember, besides his photographs, these clients are also paying for good experience. They should not be disappointed. A good wedding photographer does not make promises just for the sake of getting a project. He makes promises because he can deliver. This is because as a businessman, his commitments matter. He simply cannot make claims he cannot prove. The fulfillment is what matters most to him as it means satisfaction to his clients. An effective wedding photographer is not just after the money. He makes sure that his clients get the services they deserve. That means that the connection does not simply end with the completion of the payment. Instead, it continues; the photographer is still open to answer questions and render post-sale services. Again, it is not just about products. Experience is also very important. Rendering quality customer service is one way of ensuring positive experience among clients. Being a wedding photographer is never easy. It is something that requires not just passion for the craft but also the willingness to be a good businessman who has a heart for clients. After all, the goal in every wedding is not just to take photographs and deliver them to the couple. Instead, it is making sure that they are happy and that they get the worth of what they paid for. 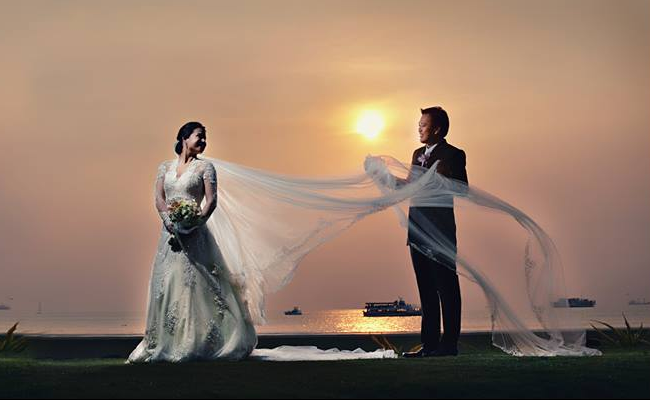 Lito Genilo of Smart Shot Studio is a great example of this kind of wedding photographer. Apparently, he has managed to stay on the top of the game for a reason. Now is his business remains to be one of the biggest and most prominent in the industry. To know more about Lito Genilo and Smart Shot Studio, visit https://kasal.com/philippine-wedding/Wedding-Photographers/Smart-Shot-Studio/L3185.html.